This research could accelerate the development of new treatments for liver cancer, which is currently difficult to cure. Often surgery is not an option for liver cancer, and the available drugs are only modestly effective. More than 82 percent of liver cancer patients die within five years of diagnosis, according to the National Institutes of Health. The research group of Maciek R. Antoniewicz, Centennial Professor of Chemical and Biomolecular Engineering at the University of Delaware, designed a set of experiments to measure how cancer cells respond to the loss of hexokinase-2, an enzyme that helps cells metabolize glucose, their food source. Antoniewicz is an expert in metabolic flux analysis, a technique for studying metabolism in biological systems. His research group is one of only a few in the world with expertise in a technique called 13C metabolic flux analysis of cancer cells, and he recently published a paper in Experimental & Molecular Medicine describing his methods. "The complexities of mammalian metabolism require a systems-level analysis of the underlying networks and phenotypes, and this is what my lab specializes in," he said. The UD cohort used mass spectrometry to analyze the cancer cells and then determined intracellular metabolic fluxes for cells with and without hexokinase-2. 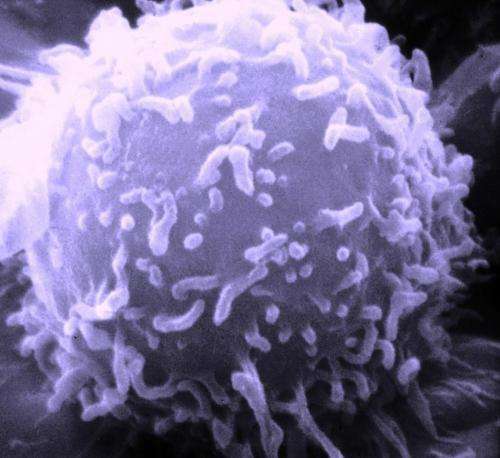 They suspected that cells deprived of hexokinase-2 would starve and die, but surprisingly, they found that targeting hexokinase-2 alone had only a marginal impact on stopping cancer cell growth. Another weapon, metformin, was needed to complete the job. "The importance of our paper is that we show that targeting hexokinase-2 can indeed be a successful strategy for cancer therapy, when you also target a second compensatory mechanism with the drug metformin," said Antoniewicz. His work provided important clues to what this second target should be, providing fertile ground for the next phase of research. Finally, the research team at the University of Illinois at Chicago tested a combination of hexokinase-2 depletion and sorafenib, a liver cancer drug, on liver cancer tumors in mice. This combo worked better than either treatment alone.